Technology giant Google's India cloud centre, slated to become operational in Mumbai by the end of 2017, will spur economic activity in the country, a top executive from the company said on Tuesday. "We believe that the India cloud centre will spur a whole of economic activity across a lot of startups, partner organisations," said Mohit Pande, Country Manager, India, Google Cloud. Pande was speaking to media on the sidelines of the Google Cloud Summit here. "We see huge potential in India. Cloud centre in India will allow us to deliver a slew of cloud services like storage, networking and data services out of our Mumbai cloud region," Pande added. "With the India region coming up, we believe our ability to work with the government, industries and other partners will also go up." The company officials, however, refused to divulge any information regarding the investments being made into building the India cloud centre, or any other details regarding its operations. Mumbai will be the company's fifth cloud centre in the Asia-Pacific region with Singapore, Taiwan, Tokyo and Sydney being the others. Stating that only around 10 per cent of the global workload is on the cloud, machine learning and Artificial Intelligence differentiate Google Cloud "significantly" from the other cloud service providers in the world, Pande added. With more than one billion end users, Google Cloud has gained traction in India and across the world. Airbus, Coca Cola, Colgate and Philips are some of the global companies that are running on Google Cloud. 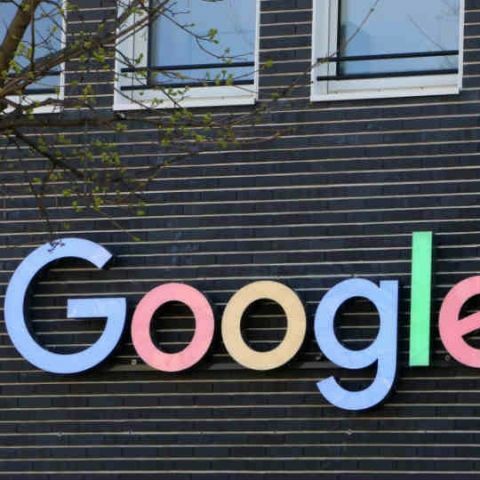 Google also has partnerships with Indian companies such as Ashok Leyland, Goibibo, Reliance Entertainment - Digital, Royal Enfield, Air Vistara, Tata Sky among others who use Google Cloud as their technology platform. The Google Cloud Platform takes the infrastructure, machine learning and networking services used to power Google services and makes them available to businesses and developers to build high performance applications and data analysis.